Anti-government protests continue across Sudan, as President Omar al-Bashir refuses to step down. As protests across Sudan approach their third week, President Omar al-Bashir remains defiant amid fears of further unrest and violence in the country. 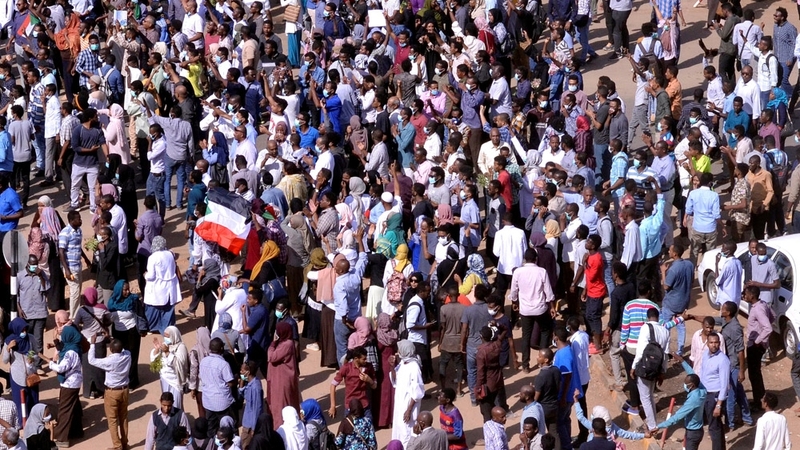 Protests, which initially appeared to be tied to an increase in the price of bread and other economic hardships, quickly morphed into growing anti-government rallies demanding Bashir’s resignation. Bashir, who has been at the helm since 1989, has refused to step down, while security forces continue to crack down on activists and protesters. On Tuesday, a large demonstration was dispersed by security forces in the eastern city of al-Qadarif, as a coalition of Sudanese professionals renewed calls for more demonstrations this week. At least 19 people have been killed and more than 800 people arrested since protests erupted in the northeastern city of Atbara on December 19. Human Rights Watch has put the death toll at 40, including children. With both sides seemingly unwilling to step back, the situation may go in either direction, say analysts. “The government doesn’t want to give any concessions, it still has a strong core of support and it does not seem have any qualms about using violence. At the same time, the protests and opposition are mounting,” said Abdelwahab El-Affendi, Professor of Politics at the Doha Institute for Graduate Studies. While the majority of the protests have been sporadic, organised marches and nationwide strikes have been spearheaded by the Sudanese Professionals Association (SPA). Their march to the presidential palace has been halted thrice by security forces since a December 25 rally in the capital, Khartoum, but that has not dampened their spirits. The SPA has continued calling for consecutive rallies, the latest of which is planned for Wednesday in Khartoum’s twin city of Omdurman. “We will march to parliament to deliver our demands and we will continue to do so peacefully until the government steps down,” said Mohamed Asbat, an independent journalist and spokesperson for the SPA. Security forces have used tear gas and live ammunition to disperse protesters, while the government shut down schools and universities after imposing a state of emergency in several provinces. The protest movement has continued to gain in strength, with a group of 22 political parties calling themselves the National Front for Change (NFC) joining the the opposition rank last week. At apress conference, the group, which include Islamist factions that were once allied with Bashir, as well as breakaway groups from large traditional parties, called on the president to step down. The move came as a second party, Sudan Reform Now, followed the Umma Party in withdrawing from the ruling coalition government. Mahmoud al-Jamal, member of the NFC, told Al Jazeera that the group is in talks with political parties to gain more support for the protest movement. He hopes other parties will sign the memorandum calling on Bashir to hand power over to a transitional council. “We are in talks with various political parties with the aim of organising and unifying the opposition to agree on a common vision,” said Jamal, who is also a member of Sudan Reform Now. “What has caused the current crisis is this government,” he said highlighting “the opposition’s weakness and disunity” for the state of affairs. Under pressure from the massive protests, Bashirpromisedeconomic development but has refused to step down. Instead, he called on opposition leaders to prepare themselves for the upcoming elections in 2020, during an interview with al-Mustakila satellite channel on Friday. But protesters and opposition groups refuse to wait, saying little change will come with the polls. Sudan has a long history of peaceful revolutionary change seen in the popular uprisings of October 1964 and April 1985. In both cases, political parties joined protests launched by trade unions and professionals. The eventual support of the military allowed for regime change. But more recently, protests that erupted in Khartoum in September 2013 were stifled by a violent government crackdown that saw some 185 people killed, according to Amnesty International. For now, it remains unclear which way the current wave of demonstrations will head. 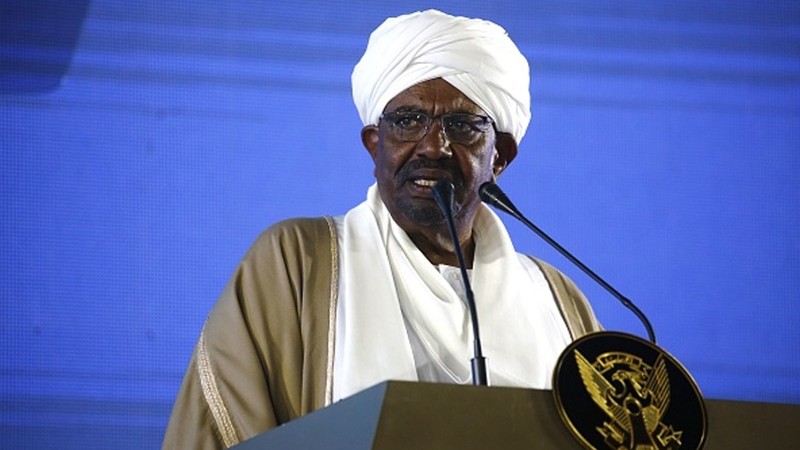 “In popular terms, the regime of Omar al-Bashir has already fallen,” Muhammad Osman, an independent Sudanese analyst, told Al Jazeera. “But in practical terms, the regime remains standing and firmly in control of the various components of its security system (the army, NISS, the police and the Rapid Support Forces),” he added. “If the protests sustain momentum, the probable scenario is that some members of the regime’s security cabal would eventually summon enough courage to intervene and get rid of Bashir,” he explained, adding that the other scenario would be for the protests to “fizzle out under sustained crackdown and use of lethal violence”. El-Affendi says he does not see the protests dying down, adding that he expects violence to increase unless top officials in Bashir’s government support calls for change. Why are Sudan’s protests gaining momentum?